First steps towards digital collaboration by Leanne from Hinengaro. Leanne reflects on a seemingly straight-forward staff PD session she ran about YouTube. It reminds me that some of the things we have been using for years are still new to some people! Epic #edchatNZ reflection by Brie Jessen-Vaughan from Teaching on the Wind. There have been many great #edchatNZ reflection blogs especially due to the challenge that was put out, so why did this one grab my attention? Brie has taken some learning shared how she has put it in to action. It’s really good stuff that she has shared! Check out my favourite blog posts from the past week. 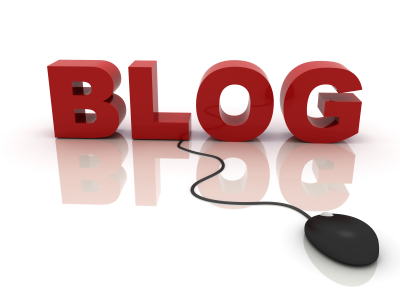 On the Importance of Commenting on Blog Posts… by Alex Le Long from Evolution and Imagination. Alex gives us a good reminder that we need to be commenting on other blogs. I know for me that I love comments and sometimes get them on Twitter instead of the blog post. It’s nice, but feels more permanent if attached to the post. Let’s Booktrack by Allanah King from Life is not a race to be first finished. Allanah blogs about the Booktrack app. I had a look at this at the Education Festival earlier in the year and could see some really good benefits in this. Worth a read. UDL at the dentist by Chrissie Butler from The CORE Education Blog. This is a great blog post about Universal Design for Learning from an unexpected experience at the dentist. If you want to see a practical example of UDL check it out. Managing change in your school – What is missing? by Leigh Hynes from the blog Hynessight. This post highlights some of the challenges that come about due to change in a school (or anywhere). If you haven’t considered each of the five parts of change management then stress can easily build amongst staff. Pond and Copyright: negotiating the waters by Chris South from the N4L Blog. I’m sharing this post for a couple of reasons. Firstly, as Pond continues to develop, it’s useful to know how N4L/Pond is dealing with copyright infringements and what our responsibility as educators is. Secondly, the N4L blog is a useful one to follow to keep up-to-date with what is going on with N4L, the Managed Network and of course Pond. Five Good Resources for Teaching Digital Safety and Citizenship to Elementary School Students by Richard Byrne from the blog Free Technology for Teachers. Richard shares a range of useful digital citizenship resources for you to use with your students. Schools that work for kids by Eric Sheninger from the blog A Principal’s Reflections. In this post Eric reflects on his son and his technology use at home and relates that back to a school situation, stating that the structure of many schools is at odds to the world our children are growing up in. Why are more teachers not sharing their practice? by Steve Mouldey from the blog Steve Mouldey: Emergent Reflections of a Secondary Teacher. I know I shared a post from Steve last week but this, to me, is such an important question to consider. HPSS and Seven Sharp – The School Behind the Soundbite by Claire Amos from Teaching and E-learning. TV current affairs show did a segment on Hobsonville Point Secondary School (HPSS) looking at the modern learning environment and practices that the students learn in. Overall it was very good. Claire takes this and expands on what a school week is like at HPSS to show that the normal stuff people expect from school is still covered within the project work they are doing. This is a great post for anyone interested in seeing how a brand new school operates within and MLE, using modern practices. It’s been a long time since I’ve done a Monday Mentions blog post. I decided last week I need to reinstate it. Monday Mentions is when I pick my favourite blog posts to share from the past week. Usually 3-5 of them. Questioning Quest by Steve Mouldey from the blog Steve Mouldey: Emergent Reflections of a Secondary Teacher. This isn’t actually one blog post but a series of them. The link takes you to the Questioning Quest tag. I’ve read a number of these blog posts are they are insightful, challenging and thought provoking. Well worth the read! Let’s Experiment #edchat by Nicholas Provenzano from The Nerdy Teacher. In this blog post, teachers are encouraged to experiment—try things out and don’t be afraid to fail. Trend 6: Learner Orientation by Mark Osborne from The CORE Education Blog. Number 6 for CORE Education’s Ten Trends for 2014 series. This post helps us to think about how students orient themselves towards learning. It also helps us consider how the school and community orients themselves towards supporting the learners. From The 12 Most – This one is self explanatory: 12 Most Innovative, Inspiring, and Unmissable TedTalks. For all you bloggers out there (and those who want to get into blogging) here are some good thoughts for writing blogs also from The 12 Most: 12 Most Standard English Rules to Break When Blogging. Something to think about from The Innovative Educator: Could the key to teacher effectiveness mean dropping certification requirements? A look at Digital and Global Citizenship from Educational Origami. I haven’t done a Monday Mention for awhile, and hopefully I’ll get back into it. Today I just wanted to share a blog that I read this morning. It focuses on the state of New Zealand education. It’s a good read from Principals, teachers and Boards. 1. Yeah, You’ve Got Problems. So Solve Them. A blog post about answering the questions about ‘not having enough time’, ‘not have the technology’ etc. From weblogg-ed. 2. Are Wiki’s Dying? An interesting post about the future of wiki’s. From The Thinking Stick.